Exercise is essential, we all know that. Getting the most out of every exercise program ensures your patients are getting maximum benefits for their efforts. Your patients have access to a huge amount of information from magazines, friends and the internet. Unfortunately, much of this well-meaning material is inaccurate and plain wrong. Natural and integrative clinicians need to be a reliable source of solid advice on exercise nutrition and training. Sports nutrition science has greatly advanced over the last 5 years and has changed much of what we thought was good practice. 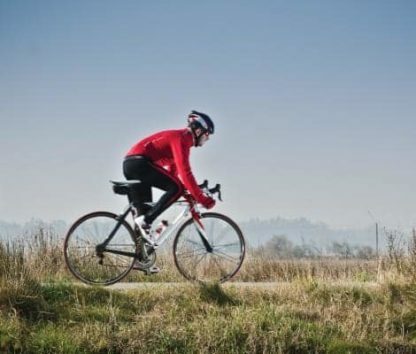 New information substantially advances our understanding of how to increase muscle mass, improve performance and maximise the benefits of all exercise. This Masterclass will give you the skills to reliably advise the weekend warrior, right up to the elite athlete. The full program of the Masterclass is below and we will cover every aspect of nutritional requirements for exercise. Kira Sutherland BHSc, Grad Dip (Sports Nut, IOC), AdvDip Nat, AdvDip Nut. Dr Gary Slater PhD, MSc, GDNutDiet. See the full presenters bios below. In addition to the nutritional discussions, we have Blake Worrall-Thompson, a highly experienced Personal Trainer giving us and explaining his programs for increasing endurance, improving strength and increasing muscle mass. Kira Sutherland BHSc, GradDip (Sports Nut, IOC), AdvDip Nat, AdvDip Nut. 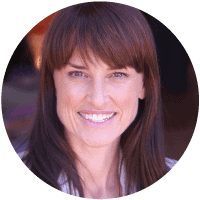 Kira Sutherland is an experienced clinician who specialises in Sports Nutrition and Naturopathy. She is the previous Head of Nutritional Medicine at Nature Care College in Sydney and has lectured in Natural Medicine for well over 15 years. She is passionate about working with athletes of all levels and has a special interest in endurance sports nutrition. As a health educator, Kira works with: Colleges, conferences, corporates, sports teams, athletes and the media. In her spare time Kira is undertaking her Masters of Sports Nutrition, competes in Ironman triathlon and practices what she preaches. Dr. Gary Slater PhD, MSc, Grad Dip Nut. Diet. Dr. Gary Slater is an Advanced Accredited Sports Dietitian and exercise physiologist who is passionate about assisting athletes and their coaches achieve their sports performance ambitions. 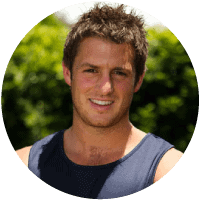 He is also passionate about training and inspiring graduate accredited practicing dietitians and accredited exercise physiologists who may work within industry, government, sport or the fitness industry. 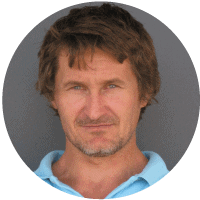 Gary coordinates a Master’s Degree in Sports Nutrition at the University of the Sunshine Coast and coordinates courses in the Nutrition and Dietetic and Sports Science disciplines. Gary is also a sport nutrition consultant to the Australian Rugby Union and Queensland Rugby Union programs, and works with local athletes within the Sunshine Coast region. His goal is to ensure that best practices in nutrition penetrate the local community, reaching those with fitness to performance issues. Gary currently serves on the Sports Science Advisory Panel of the Australian Paralympic Committee and Surfing Australia. Blake Worrall-Thompson is a health and fitness professional dedicated to helping his clients reach their full potential. In 2008 he founded ‘Ministry of Wellbeing’ to create an innovative and holistic offering in the field of health and fitness. Having worked and trained in London, Blake developed a unique approach to health and fitness, learning international practises to bring home to his clients in Australia. His clients come from a diverse range of backgrounds, from leading executives and celebrities, to anyone who simply wants to get fit. Blake recently co-authored Switched On: Health & Wellbeing Professionals Vol 2 a book targeted at the busy, stressed individual of the 21st century. The book teaches strategies around resilience and sustained performance and features some of Australia’s most inspiring health and wellbeing experts. A keen spokesperson for the health benefits of fitness, Blake writes for Sunday Telegraph’s Body+Soul and features regular in magazines Fitness First, Good Health, Health Smart, Shop Till You Drop and Australian Women’s Weekly online. He has also appeared on the reality weight loss show Ruby.